Nothing excites people and gives them a better understanding of America than following the Founders’ footsteps and experiencing the places where they made history. Chasing American History provides those “goose bump moments” that catch us all when we come face to face with the places and living stories related to our country’s founding and pivotal moments. 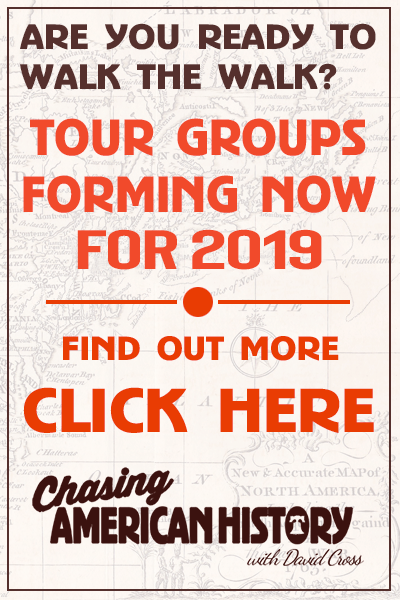 Whether you’re interested in having us visit your classroom or your boardroom, Chasing American History can set the stage for your group to not just learn history, but to live it and take from it the lessons that people sacrificed, fought and died to teach us. From lectures and single-day events to coordinated group tours, we’re standing by to help you experience the stories of our country like never before.